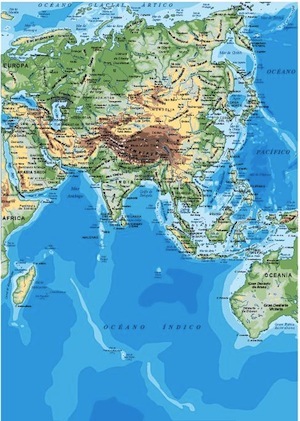 Asia is the world’s largest and most populous continent, located primarily in the eastern and northern hemispheres. 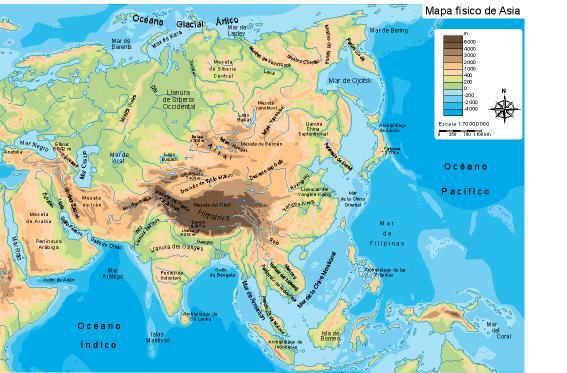 It covers 8.7% of the Earth’s total surface area (or 30% of its land area) and with approximately 3.879 billion people, it hosts 60% of the world’s current human population. 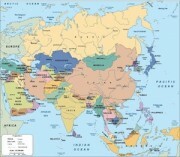 During the 20th century Asia’s population nearly quadrupled. 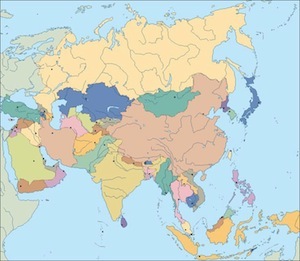 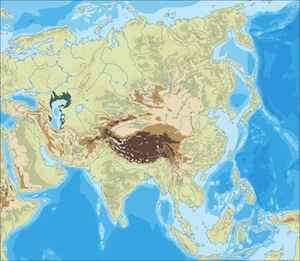 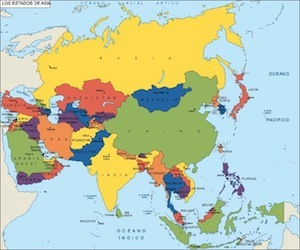 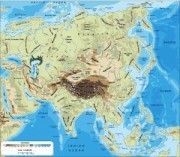 Asia as 4/5 of the landmass of Eurasia – with the western portion of the latter occupied by Europe – located to the east of the Suez Canal, east of the Ural Mountains and south of the Caucasus Mountains (or the Kuma-Manych Depression) and the Caspian and Black Seas. 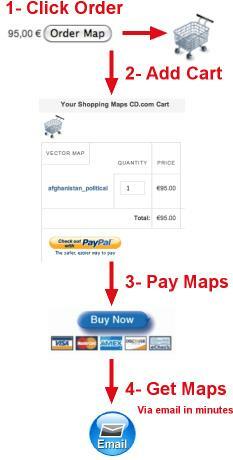 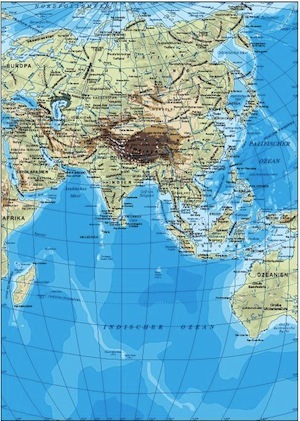 It is bounded on the east by the Pacific Ocean, on the south by the Indian Ocean and on the north by the Arctic Ocean. Given its size and diversity, Asia – a toponym dating back to classical antiquity – “is more a cultural concept” incorporating diverse regions and peoples than a homogeneous physical entity Asia differs very widely among and within its regions with regard to ethnic groups, cultures, environments, economics, historical ties and government systems.